Treat your dog to the better life!Not just 5 pieces of cardboard covered in fabric. Unlike most Pet Booster Seats, the Devoted Doggy Deluxe Pet Booster Seat is designed with both the owner and the pet in mind. I really wanted this Deluxe Pet Booster Seat for my sister. She is going to have a baby soon and has a small King Charles Spaniel. Normally, when she travels, the dog is good about laying on the seat, but with the new baby coming I thought this would be great for keeping the dog secure with the baby in the car. 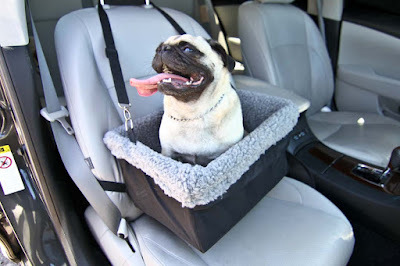 This booster seat is really nice and is great for small dogs up to 20 lbs. The quality is really good and even though it has a collapsible design, the framing is sturdy. The lining is a nice grey, it's soft and very comfortable. I love that the lining can easily be removed for washing. Setting this up was easy and didn't take long at all. I will say, even though the description says in can be used in the back, setting it up in the front was a lot easier. I would prefer the back more for safety reasons. The booster seat hovers just a few inches off the seat. It comes with a small front pocket for storage and also has a strap inside to safely secure the dog so he/she can not jump out. And, bonus... you don't have to worry about dog hair all over your car or them scratching up your seats.. Overall, very nice and what a great way for a small dog to travel. If you would like to try these out for yourself, you can purchase these Devoted Doggy Deluxe Pet Booster Seat - Black/grey right now from Amazon! Disclosure: I was not financially compensated for this post nor was I required to write a positive review. The opinions are my own and based on my personal experience with the product. I received one of the product mentioned above for a discounted price for my unbiased and honest opinion and was not compensated in any other way. 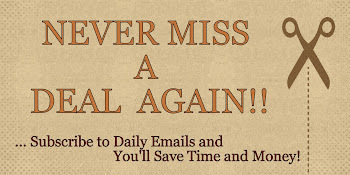 Regardless, I will only recommend products or services I use personally and/or believe will be good for my readers.